Updates to Bill Don's profile since your last visit are highlighted in yellow. I went to Rice U through 1970 and then joined Hewelett Packard in California. It didn't take long to decide that Colorado was a better place to live, so I transferred to Loveland, CO in 1972. After retiring from HP in 2001 from a career developing computer hardware and software, I took up teaching some classes in Electrical Engineering at Colorado State Univ., which I really enjoy. My wife, Marcia, and I enjoy travelling, spending most of March each year in Cancun (I guess we're Elder-Spring-Breakers! ), and recently travelling to the British Virgin Islands (bareboat sailing), Chile, Argentina, and Budapest to Bucharest on the Danube. By our 50th celebration we will also have travelled to Singapore, Malaysia, Thailand, and Russia. I've been a (minor) part of the 50th Reunion Committee, and I must say that our leader, Butch, has been the key sparkplug and has really gotten the planning moving along. Marcia and I will certainly be at the 50th Reunion celebration, and we're really looking to catching up with you if you can make it too! Although I was really a nerdy science and math student, I have to say that singing with the fun folks and great singers in Hugh Sanders' A Cappella Choir brought some really great memories (including "Oklahoma" and "Carousel"). Being subjected to Marvin Pung's Science Fair experiments involving his use of hydrogen sulfide, a very malodorous gas, also comes to mind. Why did Mrs. Ledbetter's chemistry class have to be my home room?? Bill Don Eads has a birthday today. Bill Don Eads posted a message. New comment added. Bill Don Eads posted a message. Happy Birthday, Sue! Hope to see you at the next corkscrew gang meeting. 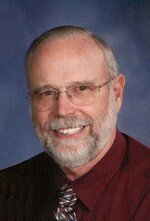 Bill Don Eads added a comment on Profile. Happy belated Birthday, Mary Ellen. Hope it was a fun one! Happy Birthday, Mike! Would sure like to visit with you again at some kind of a class reunion. Meanwhile, keep the faith! Happy upcoming Birthday, Mary Ellen. Hope it's a great one! See ya whenever the gang gets together again! Happy Birthday, Sue. Maybe see you at a Corkscrew meeting sometime? Bill Don Eads has a birthday today. New comment added. A little birdie told me about your birthday today. Well a very happy birthday to you and hope to see you and the corkscrew gang before too long! Ruth Anne Guthrie Tripplehorn posted a message on Bill Don Eads' Profile. New comment added. The recent news of your Mother's passing was sad to hear. Please accept my sincere sympathy and I know your Mom must have been a wonderful woman having a son like you. She, no doubt, was very proud of you as her son. I hope her memories will bring you warmth in the coldest of days. The kids a few years ago.